Idemitsu Kosan Co., Japan’s second-largest oil wholesaler, and fourth-ranked Showa Shell Sekiyu K.K. officially merged on April 1, 2019, creating a new oil giant in Japan. The new company has combined sales of more than JPY5 trillion (USD45 billion). “The managerial environment of the Japanese petroleum industry has been getting tougher, with the declining demand of petroleum products over the medium to long-term, along with worsening climate change,” said Idemitsu Kosan Co., Ltd. President and Representative Director Shunichi Kito on the company’s website. For Showa Shell Sekiyu K.K., the subsidiary of the Royal Dutch Shell group in Japan, the merger with Idemitsu Kosan marks the end of an era. Showa Shell was formed by the merger of Showa Oil Company and Shell Sekiyu which was begun around 1876 in Yokohama by Samuel Samuel & Co., the predecessor of Shell Group today, according to Wikipedia. In 1900, Samuel Samuel & Co., which was started in Japan in 1876 by Samuel Samuel as an international trading business in Yokohama, created an independent petroleum division. It subsequently set up Rising Sun Petroleum Co. Ltd. (which later became Shell Petroleum) to expand its distribution channels of candles and kerosene for lamps. Before long, Samuel Samuel & Co., which expanded as Shell Transport, merged with Royal Dutch to form Royal Dutch/Shell. Rising Sun Petroleum continued to expand its operations as the base of the Shell Group in Japan. At the same time, oilfields were discovered in Japan along the coast of Japan Sea, primarily in Niigata Prefecture. Hayama Sekiyu and Niitsu Sekiyu, the predecessors of Showa Sekiyu, were established to engage in the domestic production of crude oil. In 1947, Rising Sun Petroleum was renamed Shell Sekiyu and resumed business. Starting with a capital agreement between the Shell Group and Showa Sekiyu, domestic oil companies deepened their collaboration with foreign oil companies. Shell Sekiyu and Showa Sekiyu, which had played crucial roles since the dawn of Japan’s oil industry, merged in 1985 to form Showa Shell Sekiyu. 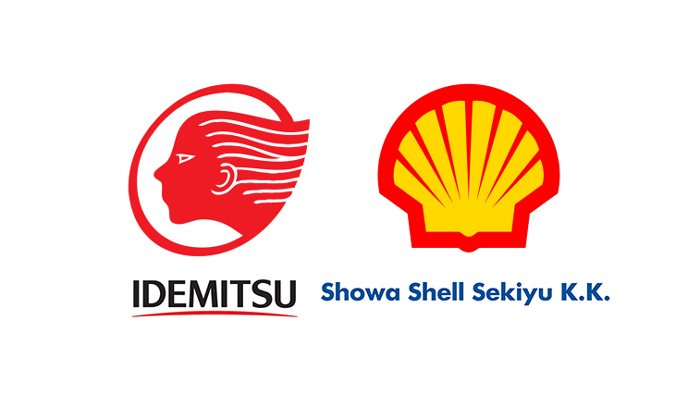 While Idemitsu Kosan will be the surviving entity, the merged company will conduct business under the Idemitsu Showa Shell trade name and will continue to use their conventional brand names at their fuel retail outlets. The merger between Showa Shell and Idemitsu Kosan was first announced in 2015 but was delayed due to opposition from the founding Idemitsu family. The Idemitsu family finally agreed to the merger on the condition that family members join the board of the merged company. Showa Shell became a wholly owned subsidiary of Idemitsu through a share exchange. “On April 1 of this year, we took the first step toward the next 100 years,” said Kito. The new company expects the merger to improve efficiency in crude oil procurement, refining and distribution in a shrinking domestic market, where gasoline demand has been declining 2-3% annually, partly due to the accelerating trend toward fuel-efficient hybrid vehicles and an aging and declining Japanese population.